In recognition of her spectacular, MVP performance at the 2015 FIBA U19 World Championship in Russia this past summer, A’ja Wilson (South Carolina/Hopkins, S.C.) today was named the 2015 USA Basketball Female Athlete of the Year. As a starting forward for the USA, Wilson averaged a team-leading 18.3 points per game, and she scored a USA U19 women’s single-game record 30 points against Russia in the final. 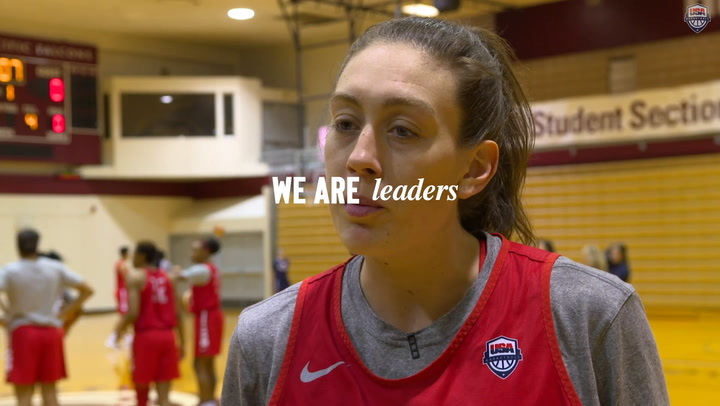 Wilson set a U.S. women’s U19 single-game record for field goals attempted (21) and tied the mark for field goals made (11) against Russia, and she became just the fourth USA athlete to participate in and claim two U19 gold medals after also winning gold at the 2013 FIBA U19 World Championship. 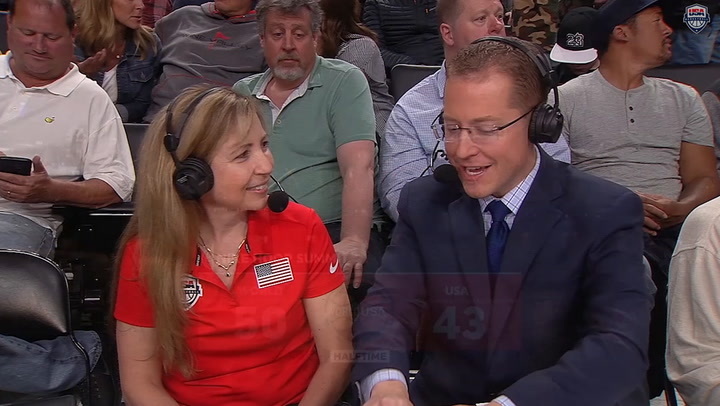 This year marks the 36th time USA Basketball has presented its Female Athlete of the Year award, which was established in 1980 to recognize a USA Basketball athlete who, during the year of the award, made a significant impact on the success of her team’s performance. 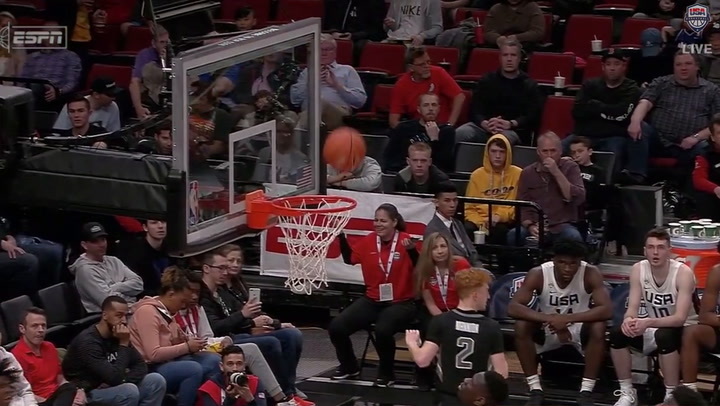 As a member of the 2015 USA Basketball U19 World Championship Team, Wilson started in all seven games to help the USA capture a 7-0 record and a gold medal at the FIBA U19 World Championship from July 18-26 in Chekhov, Russia. Wilson’s 18.3 ppg. 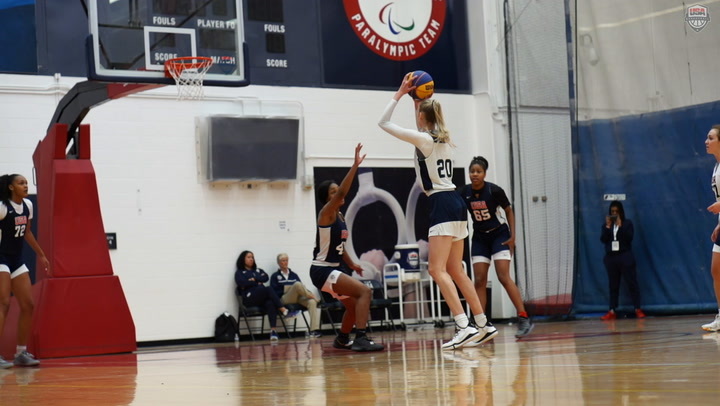 is second-best all-time in the USA women’s U19 record books, and she added 8.4 rebounds, 2.3 assists, 1.1 blocked shots and 2.0 steals in 22.3 minutes per game while shooting 49.5 percent from the field (51-103 FGs). Among all participants in the 16-team field, she ranked second in scoring, fourth in field goal percentage, tied for eighth in blocked shots, ninth in rebounds and tied for 10th in steals. Four times Wilson led or tied for the team’s leader in scoring, and she reached double-digit points in all seven games, including 18 points and 10 rebounds against Spain; 17 points and 10 rebounds against China; 14 points and seven rebounds against Egypt; 18 points against Argentina; 11 points against Canada; 20 points and 16 rebounds against Spain in the semifinals; and 30 points and eight rebounds against Russia in the gold medal game. 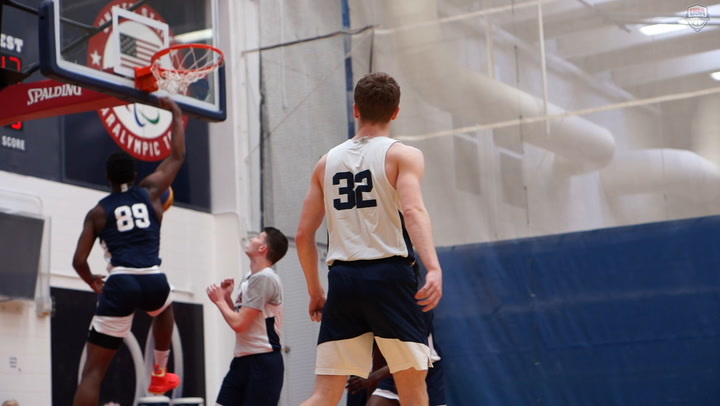 Wilson also helped the USA to a 3-0 exhibition record and the tournament championship at the 2015 Spain U19 International Invitational in Murcia, Spain, with wins over Australia (85-82 on July 12), Canada (95-40 on July 1) and Spain (75-51 on July 14). During exhibition play, she averaged team-bests of 18.0 ppg. and 10.3 rpg., while shooting 45.9 percent from the field. She had 15 points and 10 rebounds in a tournament-championship win over Spain, nine points and 10 rebounds against Canada and game-highs of 30 points and 11 rebounds and a perfect 14-of-14 from the line versus Australia. As a freshman in 2014-15, Wilson aided the University of South Carolina to a 34-3 record, including a 15-1 mark in league play, the SEC regular season and tournament titles and an NCAA Final Four appearance. In 2014-15, she averaged team second-bests of 13.1 ppg. and 6.6 rpg., while notching a team-high 65 blocked shots and was named Associated Press All-America third team, All-Southeastern Conference first team, SEC Freshman of the Year, five-time SEC Freshman of the Week and as a Finalist for the Wooden Award. Thus far in 2015-16, Wilson is averaging 18.0 ppg., 9.3 rpg. and 3.0 bpg. to help the Gamecocks to a No. 2 national ranking and an 11-0 start to the season (as of Dec. 22).